Which B Complex/Brand are you using? We’re planning a FET for #2 next year, and last time they just had me take higher doses of the regular OTC Bs and Folic Acid. Do you order yours online or are they easy to find in the store? I order them online. It’s Homocystex Plus and they are Seeking Health brand. They also have a prenatal variety. You can get them here http://www.seekinghealth.com/catalogsearch/result/?q=homocystex+plus but they were sold out when I went to order them so I found them on amazon.com. Exciting to hear about you trying again so soon! 🙂 I wish you all the best. You’re welcome. I hope it will help somebody! Thank YOU for reblogging it! I really hope that it will help somebody. There are a couple of you that I know are dealing with RPL and I thought this info may be interesting to you. Not sure if it’s something you’ve been checked for or not. Have a great day Everyone! I just followed this from “Our Greatest Desire” and I am floored. I had always heard of MTHFR, but never realized it was Vitamin B related…. I always just heard “clotting disorder”. There is 7 years between my brother and I and my mom only got pregnant with me after she started receiving vitamin b shots….. everyone in my family has chronically LOW vitamin B and D and normal OTC supplements don’t even touch our deficiencies. I have not suffered through RPL…. but I am wondering if my failure to conceive is related…. 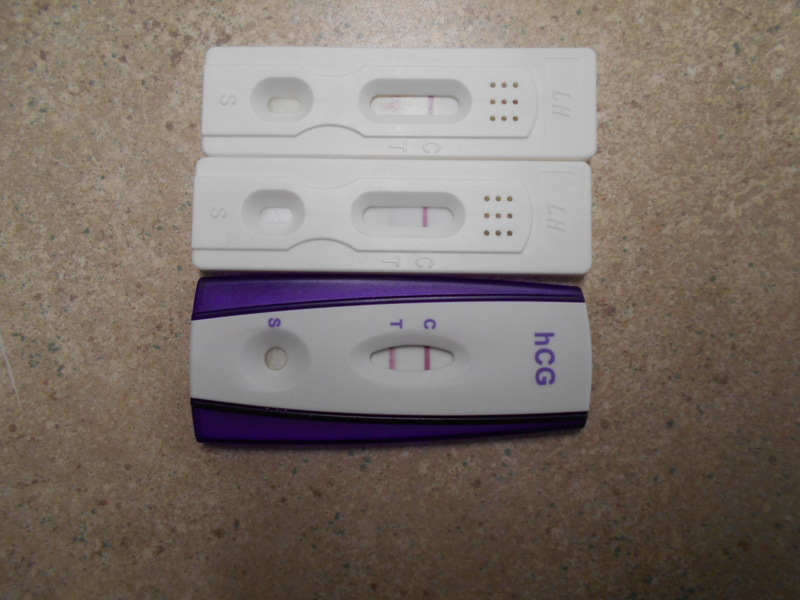 I will DEFINITELY be asking my RE to test for MTHFR before we get started on our IVF journey! Thank you for sharing! You are most welcome. It is definitely possible that your family could have issues with MTHFR. There are different variations of it, some being less serious than others but getting proper b vitamin support is key to feeling your best. With the variation that I have (2 copies of C677T) my body only absorbs vitamin b’s at about 7% which is why the methylated vitamin b supplements are so important because they are already broken down for my body to absorb easier. My first RE refused to test me for clotting and immune issues after my first IVF failed. I know that the first IVF does fail frequently as it’s only a 50/50 shot but I still had a very strong sense that something important was wrong. So, I switched to a new RE and refused to start another IVF until I was tested. He complied to my request and of course we found a problem. Always trust your gut! I hope so too…. thank you for the well wishes! I just came across your blog through ourgreatestdesire. Thanks so much for sharing this! We have gone through 5 consecutive miscarriages, and I always hope that someone will post the miracle answer to our unexplained RPL. Unfortunately, we know that I do not have a blood clotting issue, and even so our RE has put me on baby aspirin just in case because it also wont hurt. But, I appreciate you sharing and I appreciate anyone bringing awareness to this very serious cause of miscarriage. What is the MTHFR test called? It was in a panel. I’m not sure what the panel was called. I think the dr just said a clotting and immune panel. A lot of times if you have one clotting issue, you will have another too. Like MTHFR along with Factor V Lieden for example. Sorry I can’t be more specific on the exact name of the test. Thank you!! This is always my first question now. Thank goodness my RE wanted to do the blood panel after my first two IVF cycles showed implantation but early loss. Pretty sure I was a little woozy afterwards (or that’s what I told my husband so he’d take me to lunch) but it was worth it! Then my first OB appointment, he said I wouldn’t stay on lovenox but he thankfully did some research and kept me on it the whole pregnancy. Getting daily shots was no fun but a much better alternative to never getting pregnant. I just wonder now how many people in my family have this. My sister?cousin? Aunt who had recurrent miscarriages before my cousin was born? Oh I know!! It’s so much more common to have clotting and immune pronblems than people realize too! The first OB I saw wanted me to go off of my Lovenox right away and I told him no way (!) so he said I could wait till 14 weeks or so but there was still no way I was going to go off of it. The first MFM that I saw said “All pregnant women are at a higher risk of clotting during pregnancy but we can’t give blood thinner to the thousands of women!” I sat there thinking “Lady, I am not ‘the thousands of women’ and if you think I’m quitting my Lovenox, you’re crazy.” It took me awhile to find someone who would take me seriously! Thank you so much for reblogging this. I am really hoping someone will benefit from this info so they don’t have to learn the hard way. So glad you stuck up for yourself! Exactly what I would say, except I have MTHFR and PAI 4g/5g. I am absolutely positive that this knowledge saved my babies. Thank you God for doctors, their wisdom, and science! I stumbled across this, while waiting for my baseline for my second ivf cycle (well this time will be a FULL one, not just an upsetting ER), and thought that it should definitely be shared. I know of some people close to me with blood issues, so I’m sure it’s more common than docs think. I hope that you will have a successful pregnancy very soon! 🙂 I would love to hear the results of the screening. Was just looking at this old post and pulled up your blog to see that you have a baby now! Did this info help you?